Last weekend I found myself with a surplus of cooked chickpeas in my refrigerator. 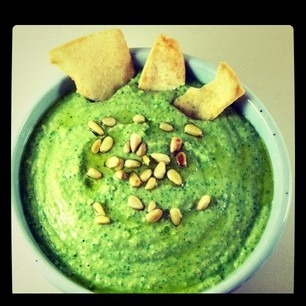 Elise Bauer (Simply Recipes) came to my rescue with her Basil Hummus. 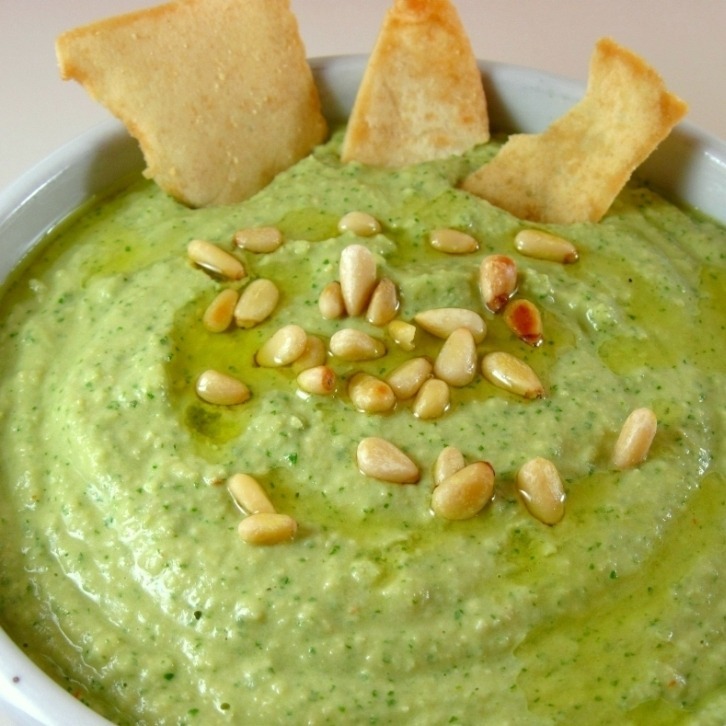 I love the beautiful green color, and I thought it was quite tasty and a nice way to change up hummus. I followed the recipe and added the ¼ cup of water that Elise recommended. Mine turned out a little thinner than the way hers looked. I think it was because I used home-cooked chickpeas that had been frozen and defrosted. They may have contained more water than canned beans. I suggest making the recipe without the water, and then you can add some in if it needs it. 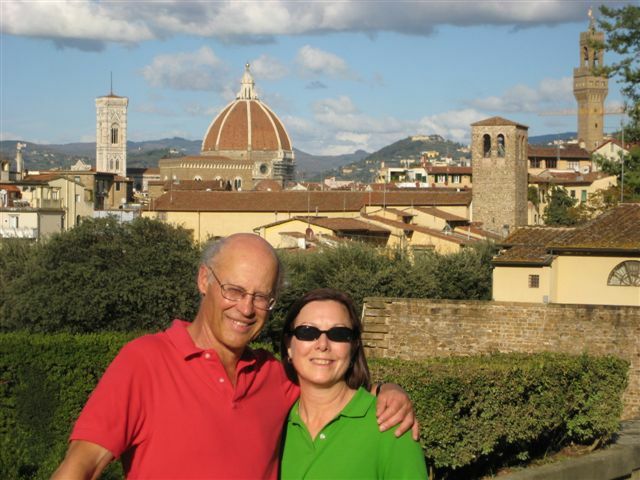 Elise uses 1 teaspoon of tomato paste. I happened to have some leftover tomato paste in the refrigerator to use. If you don’t have any, I think it would be fine without it. Basil Hummus makes a great snack with pita chips! 1. 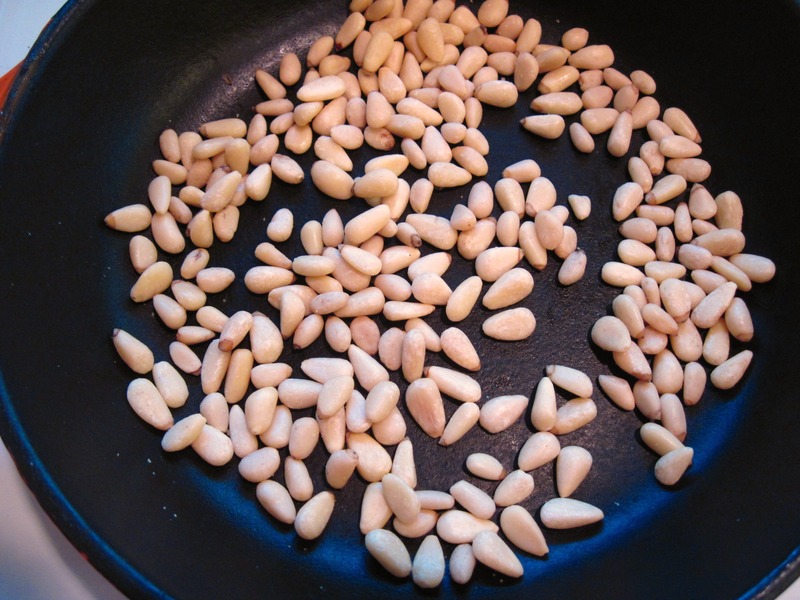 Put the pine nuts in a small pan over medium heat. Cook them, stirring, until they start to brown. Remove from the pan to cool, and reserve a few of them for garnish. 2. 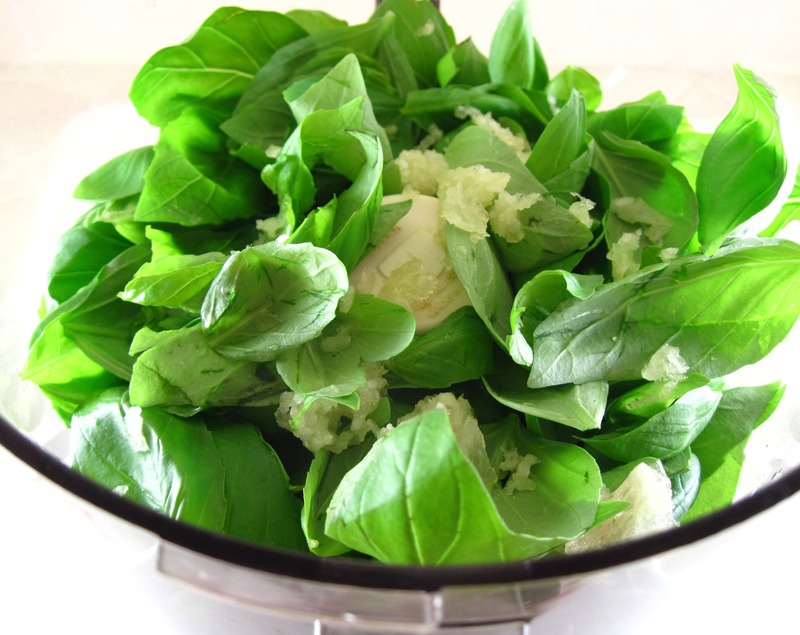 Put the basil leaves in a food processor. Using a garlic press, squeeze the garlic cloves into the processor. Pulse until the basil is finely chopped. 3. Add the chickpeas, most of the pine nuts, olive oil, lemon juice, salt, Tabasco, and the tomato paste, if you’re using it, to the food processor. Process until the hummus is smooth. 4. Taste and adjust seasonings. Add salt or Tabasco, if needed. 5. Add the water if the hummus is too thick. 6. Put the hummus in a bowl. Drizzle with a bit of olive oil and sprinkle the reserved pine nuts on top. Serve with pita chips, pita bread, or crackers. Kelly, I think you could substitute almonds. Let me know how it works. Pretty much in love with this!! I am so impressed and I bet the flavors are just fantastic! Awesome! I love basil and I love hummus!! 😀 Sounds like a delicious combination of the two! Pretty and yummy. I stinken loooove hummus! I love love love basil and although I have already used a lot of it in my recipes this summer, there is still so much left in my garden that this one seems like it comes right to the rescue 😉 It’s basically classic pesto alla genovese hummus minus the cheese. On first look it seems like there are quite a few ingredients just for hummus, but then, most of it are things you have an home, anyway. Thanks for your comment, Tobias! Truthfully, I don’t think the tomato paste is necessary, and the water turned out to be unnecessary with my beans. I definitely recommend processing the hummus first, and then decide if it needs any water added. Love basil (and have a surplus) and LOVE hummus (as do many of the other commentators). Your pics are fantastic. I can’t wait to try this. I love pesto and hummus, so this sounds like a great combo. Thanks for posting. I have all the ingredients…can’t wait to try.